Outside of a major auto show, this might be one of the best times of the year for new car debuts, and we couldn't be more excited. Just this week, the low-slung face of the next-generation Mazda MX-5 Miata showed itself to the world, and Land Rover debuted its new Discovery Sport. Plus, there's a double-whammy of launches on the imminent horizon with the unveilings of the Jaguar XE on September 8 and the Mercedes-AMG GT on September 9. Jag is teasing the launch of its latest midsize luxury sedan with a few glimpses on video. It's strangely secretive, given the fact that Jaguar showed the XE's face completely un-camouflaged a few weeks ago. Regardless, it's quite a looker up front with a sleeker take on the shape of the larger XF. Because of the way Jaguar is slowly leaking details about the XE, there are a few other things we already know about this new cat, too. It rides on a monocoque chassis made from over 75 percent aluminum, and the automaker is promising 75 miles per gallon fuel economy on the more lenient European cycle for at least one engine in the lineup. 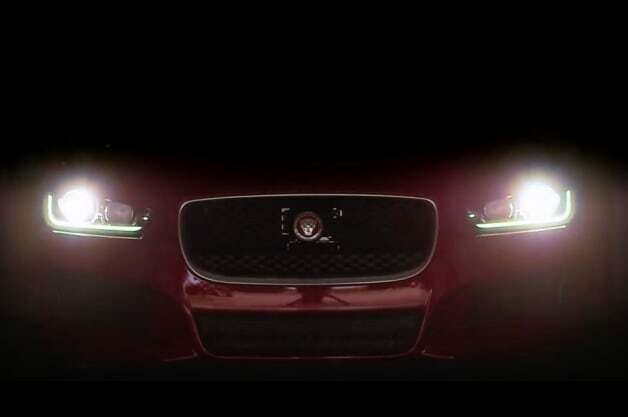 Jaguar XE teased in new video, will debut September 8 originally appeared on Autoblog on Fri, 05 Sep 2014 12:44:00 EST. Please see our terms for use of feeds.